IHOP stands for International House of Pancakes. It is a multinational restaurant chain that is famous its pancakes and other breakfast food items, served all day. Jerry Lapin, Albert Kallis, and Al Lapin established the restaurant in 1958 at Burbank, California. 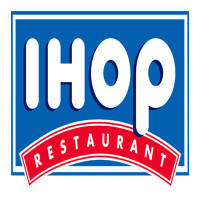 In 1973, its name was changed to IHOP as a marketing strategy. Today, IHOP has over 1,600 restaurants in more than 50 countries. They have more than 32,000 employees. About 99% of these branches are franchised. Employees enjoy employment benefits such as healthcare plans, disability coverage, maternity support program, 401(K) savings, and life insurance program. They have paid leaves. They also enjoy food and beverage discounts and transportation/parking allowance. IHOP employees stay because of the competitive salary and bonuses. Working moms can avail of the Daycare Flexible Spending Account. There is also an even chance for career growth. How old do you have to be to work at IHOP? If you are looking for a job at IHOP, the minimum age requirement for majority of entry-level positions is 16 years of age. However, if you’re eyeing a managerial position, you should be at least 18 years old. IHOP Restaurants accept part-time and full-time employees. Applicants are likely to be given shifting schedules depending on their positions. A potential employee should be a team player and should be ready for a fast-paced working environment. Server: The server is stationed in the dining area – taking orders ang ensuring that guests are promptly attended to. They relay orders to the kitchen and serve the order when ready. They also ring the POS after taking orders and assist in clearing the tables. Cook: The cook is in-charge of the kitchen. Aside from food preparation, the cook ensures that food safety and quality are not compromised. They make sure their workstation is clean all the time. They are in-charge of the kitchen shelves, tables, grills, refrigeration equipment, fryers, and flat ranges. Dish Machine Operator and Busboy: They are responsible for the cleanliness of the entire restaurant. They assist in clearing tables, serving bread, restocking silverware, glassware, and clean plates. Their responsibility is washing the dishes. They set the tables and help maintain cleanliness of the service stations. Shift Leader: The shift leader supports the manager on duty when the restaurant gets too busy with guests. They make sure that the labor laws and agency standard policies are strictly followed and implemented. The shift leader is responsible for maintaining weekly logs of employees. They also monitor the performance of the employees and the inventory of supplies. Host/Hostess: The host is responsible for welcoming guests and assisting them to their tables. They directly interact with guests hence, they need to be friendly and accommodating. They also manage the wait list when the dining area is filled with guests. They must also maintain clean and organized workstations. Assistant Manager: The assistant manager reports directly to the General Manager. Assistant managers supervise around 15 – 20 staff on duty per shift. They are accountable for the productivity of the staff assigned to them. The assistant manager is responsible in coaching and mentoring of their staff. Restaurant Manager: The restaurant manager handles customer relations. They attend to and manage customer complaints professionally and promptly. The restaurant manager ensures that company standards, policies, and procedures are strictly followed by their branch. They work on reports and other related paper work. They should communicate to their staff company goals and targets. Guest Relations Specialist: The guest relations specialist handles customer support and ensures customer satisfaction each time. They make sure that complaints and other customer concerns are handled properly. They respond to customer complaints via email and they answer phone inquiries. Training Coordinator: The training coordinator manages and helps in updating training materials and documents. They maintain documentation of training procedures and help develop needed tools and manuals needed by the training department. They manage post-training evaluations and classroom training events while maintaining the L&D Dashboard. Human Resources Assistant: The human resources assistant facilitates the hiring process – conduct interviews and process new hires. They also work on end of day reports and facilitate follow-up of documents from each store. They keep track of the training schedules and progress. They oversee any employee-related concerns and activities. It is easy to apply for a job at IHOP. If you are interested, you can access their application form on their website. Applicants need to create an account to be stored in the company’s database upon completion of the form. IHOP has online portals for restaurant and corporate applications. The portal includes pertinent information, such as job description, requirements, company information, employment benefits, and link to the online application window. You need to attach your resume, together with the application form. It is important to take time to understand, complete, and fill all the needed fields, accurately and truthfully. You should ensure that you submit a comprehensive resume, devoid of grammatical, typographical, and formatting errors. You should use clear and professional fonts. When you go to the interview, make sure to dress appropriately. Make sure to arrive on time to make a good first impression. It is advisable to prepare for possible interview questions. IHOP wants their guests to enjoy every moment they spend dining at their stores. They’re aim is to see them smile. Their company vision and core values are centered on integrity, excellence, innovation, accountability, inclusion, trust, and the community. The popular restaurant recently introduced a new platform for online ordering for take-out orders. They have also made innovative changes with their take-out packaging to maintain the quality of every customers’ take-out orders. IHOP is famous for making breakfast food items available all day. They also acquired the Applebee’s International, Inc. in 2007, a casual dining restaurant, serving mainstream American Dishes. The company holds an annual event, called the National Pancake Day, which helps raise money for children’s hospitals. They also have a Philanthropic Day, allowing employees to avail of a paid off and participate in charitable events. 1 How old do you have to be to work at IHOP?